It is really convenient to use iPad to take many photos as you like. 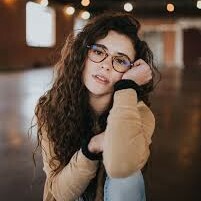 However, there are some photos that are not satisfying, so you want to delete them to make room for other new good pictures. 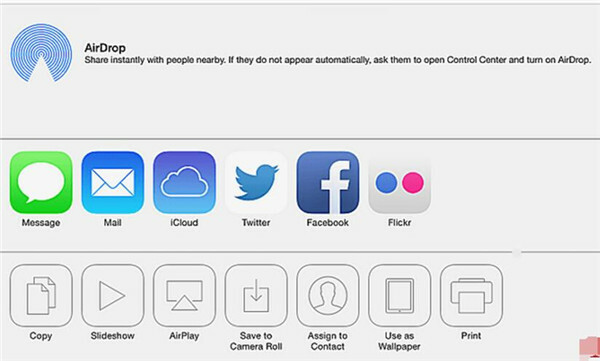 As for deleting photos on iPad, if you have no idea on how to make it, you can refer to this guidance to help you. In fact, it is not difficult to delete, share and edit photos on iPad at all. If you want to know the detailed introductions on how to manage photos on iPad, follow me to read this tutorial shown below. The Photos app on iPad offers you a fast and simple access to all photos on your iPad. 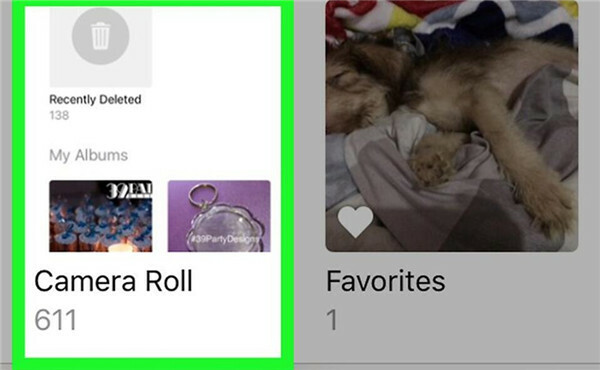 In this app, you can share photos, edit them and even delete the photos, etc. As for how to use this iPad photo management app, you can read the following detailed illustrations. First you need to launch Photos app on your iPad to start managing photos on iPad. As for sharing photos in iPad, there are many solutions for you to choose. This part will show you how to share photos on iPad via Photos app. 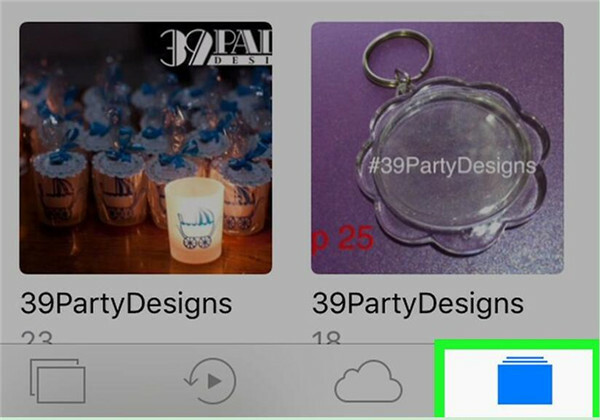 Step 1: In your Photos app, you can choose the photos you would like to share with others. Step 2: Then you need to click on the share button with an upward arrow. Step 3: Choose one method you would like to share photos on iPad. This is quite simple to share iPad photos with other, for it only needs a few clicks. Step 1: Open Photos app on your iPad, and tap “Albums” button at the bottom of the interface. Step 2: Tap “Camera Roll” in the upper left corner of the interface. If you have turned on the iCloud Photo Library on iPad, this album will be named “All Photos”. Step 3: Click on the “Select” button to choose the photos you want to delete. Step 4: Click on the trash can icon and then tap “Delete [number] Photos” to confirm the deletion. As the iPad photo organizer, the Photos app is fairly convenient for you to delete the unwanted photos on iPad. If you also want to edit the iPad photos, the following contents will show you how to make it. You can simply edit your iPad photos with the Photos app. For the detailed steps, please refer to the contents below. First you need to select the photo you want to edit in the Photos app to begin managing photos on iPad. Tap the hamburger menu along the bottom of the interface. Then click on the crop button in the menu at the bottom. Click on the rotate button at the bottom left of the interface with a curved arrow. Then you can keep clicking on the button until the picture is rotated the way you prefer. Finally you need to click on the “Done” button to save your rotation. Tap the hamburger menu along the bottom of the interface. Then click on the crop button in the menu at the bottom. Then you can drag your finger on the dial to transform the crop. When you find your satisfied crop, you can click on “Done” to save the crop. You can also change the aspect ration and other info of your photo within the Photos app. However, all these are simple editing choices. If you want to edit your pictures in a more professional way, you can transfer the photos to your computer for editing by using PS or other software to help you. Organizing photos on iPad is not a tough work at all. If you want to manage iPad photos on PC, you can refer to the second part of the guidance. 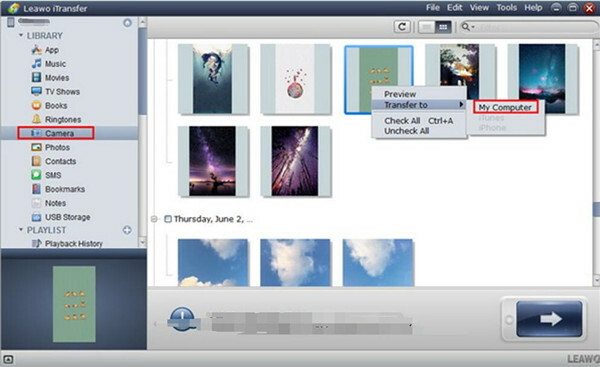 Leawo iTransfer is really a good tool for you to manage iPad photos. It can also help you to manage other 11 types of files among iTunes, iOS devices and computers. It is quite easy to handle for managing photos on iPad. If you want to know how professional this iPad photo organizer is, you can continue to check out the detailed steps in the following passages to begin managing photos on iPad. 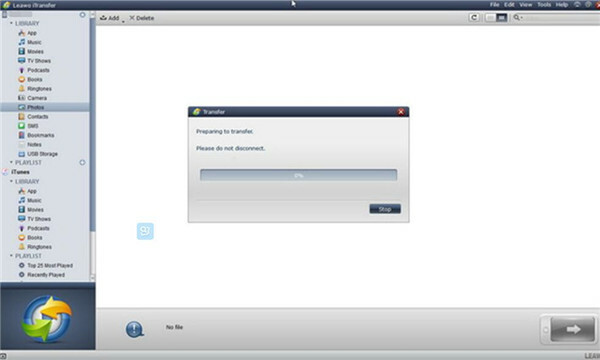 Open the Leawo iTransfer on computer and then connect iPad to PC. Leawo iTransfer will recognize your iPad device. Then you will see your iPad libraries in the left sidebar. 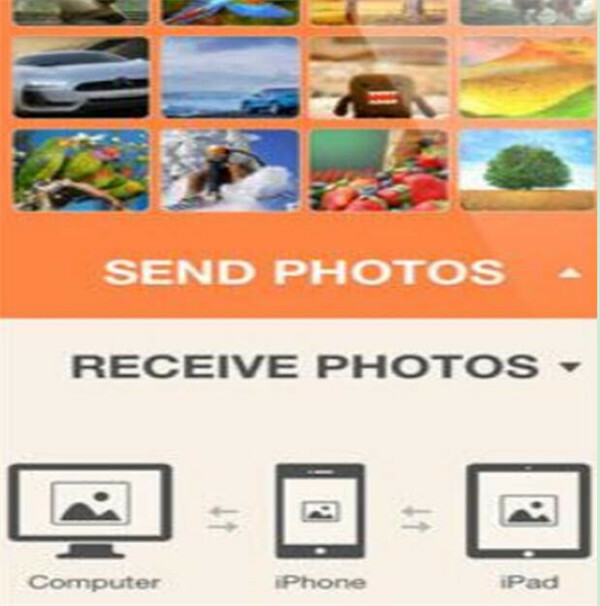 The iPad photo organizer will help you to manage iPad photos on your computer. In the main window, you can view the iPad photos directly. Here I will tell you how to delete and transfer iPad photos with this iPad photo organizer. First you need to navigate to “iPad icon > LIBRARY > Photos”. Then in the right part of the interface, you will be able to see all your iPad photos. 1. If you would like to delete iPad photos, you need to choose the picture you are willing toe delete and tap the “Delete” button to delete them. 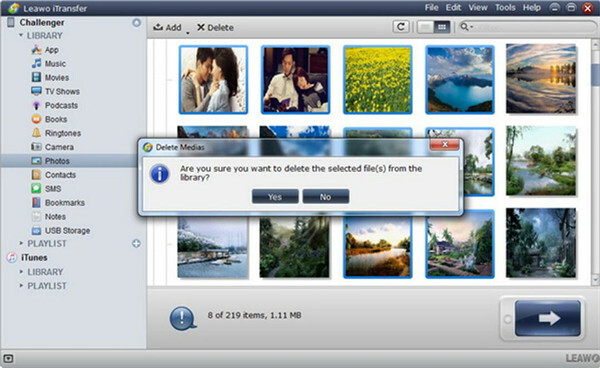 A pop-up box will ask you whether you are sure to delete the chosen photos from the library. Click on “Yes” and the selected pictures will disappear. 2. If you would like to transfer photos to your computer, you need to choose the picture you want to transfer and right-click on one of the photos to select “Transfer to > My Computer”. In the next panel, you need to tap “Change” to set the output folder on your computer. Then you need to tap “Transfer Now”, and the photos on your iPad will be moved to your PC at once. Then you will be able to edit and view the iPad photos on your computer whenever as you prefer. 3. 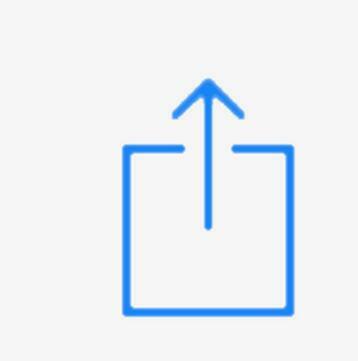 If you would like to add new photos to your iPad, you need to tap “File > Add File” or “File > Add Folder” to add pictures from your computer. When the importing process begins, your selected photos will be added to your iPad. The photos will show in the “iPhone Photo Library” after the transfer procedure is finished. As you can see, it is very professional to use Leawo iTransfer as a photo manager for iPad. If you want to use other photo manager for iPad, you can continue to read the following method. However, when you read all the three methods for organizing photos on iPad, you will know Leawo iTransfer really has a say on iPad photo management. There are many third-party photo managers for iPad. This part will show you three of them for you to use. It can be used on iPad and iPhone, which has a friendly user interface and can offer you convenience without the using of any cable to connect between devices and the application. 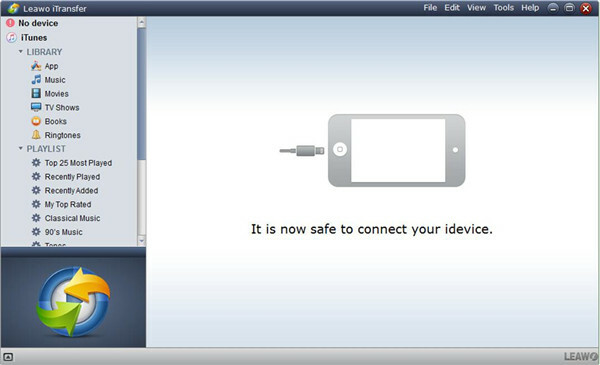 It enables users to transfer pictures among computers, iPhones and iPads. This tool is quite easy to handle for you. 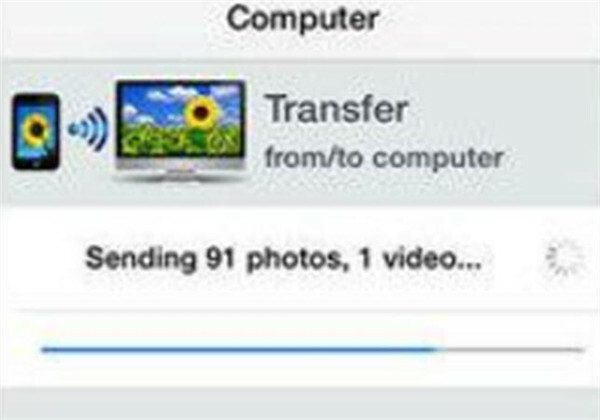 You can make use of it to transfer pictures from your iPad or iPhone to your PC, which also preserves the Meta-data of the pictures. This asks for good Wi-Fi connection on your iPad or iPhone. There is no limitations on the size of the transferred photos. 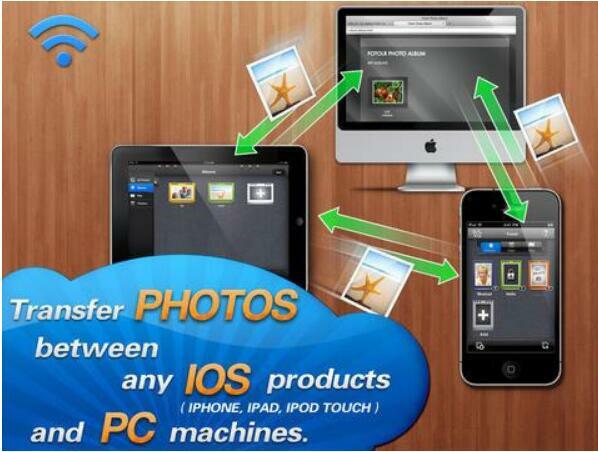 This program allows you to transfer photos among iPads, iPhones and PCs at ease with the Wi-Fi network. The software is very easy to handle, which even asks for no registration with your email. In conclusion, the 3 methods are useful for you to manage iPad photos. You can choose one iPad photo organizer to help you. Have a try on one of the solutions, and you will know how convenient the iPad photo manager is.